A short piece I submitted to two places open to brief slices of life, but had no takers, so now it has a home right here. After a nonstop bus missed by one minute in Boston, and a replacement local route that brought me through much of New England for almost seven hours, I arrived at Port Authority Bus Terminal just past 1am when the station closes and most of the terminal completely shuts down. There I was, in need of a restroom before catching the subway home. I noticed people being led downstairs on a stairway just outside the terminal but inside its doors and decided to follow. I remembered from a previous trip that Greyhound was down there, and that there was likely to be an open bathroom available to those awaiting late night departures out of the city. Feeling relieved after I found what I sought, a woman entering paused, blocking the restroom doorway ahead of me. She was homeless, with a small pushcart at her side. She looked up at me when I said “Excuse me, ma’am,” but instead of clearing the path, she pointed toward something and asked me if it was one AM or PM on the clock. I told her it was 1AM, and she inquired if I knew what time the station opened in the morning. “I am not sure,” I answered, “but today is Sunday, so probably a little later than yesterday.” She thanked me and went inside as I made my way out. January, with its sense of renewal, is usually a cold month. Alas, with the winter tends to come dry skin. My combination skin doesn’t escape, and winter makes flaky skin in the morning or the pull of a tight and parched face familiar occurrences. I regularly moisturize my face, but in winter, it can feel like playing endless catch up. Moisturizer serves as a remedy, slathered atop those flaky dry patches, accompanied by the hope for better, but you never quite feel on top of it. 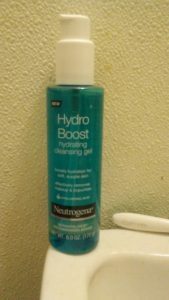 I recently had the opportunity to try Neutrogena’s new Hydro Boost Cleansing Gel (MSRP $8) for free, thanks to Pinch Me and, what follows is my review after several weeks of use. While Hydro Boost gel cleanser does say “gel”, it’s more of a thick liquid with a base of water and glycerin that comes in a pump bottle. Upon applying the cleanser to your face, you’ll notice that it feels soothing and silky. The formula lathers gently and never feels thick or goopy. Many cleansers feel like they strip your skin of moisture and settle for a squeaky clean effect that feels soft, but will subsequently dissipate, leaving your skin feeling tight or even dry again. Along with glycerin, another key ingredient that helps skin keep moisture is hyaluronic acid, which is used throughout the Hydro Boost line. It has been pleasant to wake up in the morning without having to worry that my face will be dry and in need of some careful moisturizing and time to try and really repair the texture before I go about my day. Another task the Hydro Boost Cleansing Gel excels at is removing makeup. Even though it states on the bottle that it removes makeup, I was skeptical. I rarely use facial cleanser to take my makeup off, since most of the time it falls short in one or more ways. For one, it will often melt part of my eye makeup, letting it then run down my face in a clear effort at raccoon cosplay. Two, it will do that masterful melting of part of my eye makeup, then leave the rest in uneven quantities, from bits of eyeliner that cling to the skin under my eye to waterproof mascara still partly coating my lashes. Most of the time, face cleanser is inadequate, but I was pleasantly surprised by this product. To test, I wet my face over my eye makeup and applied two pumps of cleanser into my hand, spreading it over one eye while I watched with the other. Surprisingly, it applied smoothly, but didn’t start dripping with residue that usually makes my makeup migrate all over my face when removing it with a standard cleanser. What’s more, I didn’t have to scrub at my lashes, and everything came off quickly and smoothly. Finding a product that keeps its promises and works is always exciting, and this one is promising in that regard. Using it several times a week makes my skin feel soft and clean, while helping me avoid the usual winter dryness.The formula feels protective and after several weeks of regular use, I think I have found a cleanser to rely on in the winter months. 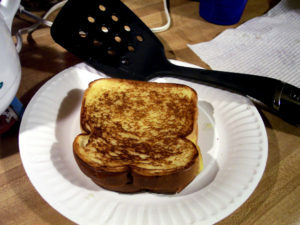 Mention grilled cheese and most Americans would conjure up some memory of a warm, comforting creation made from layering the simple ingredients of bread and cheese. Perhaps something fancier, folding in caramelized onions, a variety of cheeses, sun-dried tomatoes for a dash of umami, or that flavor enhancer of the seemingly-endless moment — bacon. All these paths converge in a similar place, where glistening, laden crumbs on the edge of the bread, toasted golden for some, and on the edge of charred for others, with a gooey meld of cheese inside, occasionally threatening a slow escape into the buttery gates. Last week, I took the remains of some two-year aged cheddar and cut the piece in half. My appetite demanded something tinged with nostalgia, and I had eaten most of the cheese by then, since I cannot easily avoid the words “aged cheddar”. I chopped the rather crumbly cheese up into bits and put it between bread, buttered my hot pan, and let it brown. Aged cheddar is on the drier side, so it does not melt as easily. The languid browning is worth the anticipation. I placed the finished sandwich on my plate, picked it up, and took a bite. Yet, something felt off. One thing in my otherwise careful setup that I did not do was cut the sandwich. I always cut my grilled cheese sandwiches into triangular quarters, because that’s what my grandmother always did. My maternal grandmother, who passed away just shy of three weeks before my 16th birthday, has been gone some time now, but every time I make a grilled cheese sandwich, her influence is always there. When I sat there eating my grilled cheese, it felt wrong, but I ate it anyway. The sandwich itself tasted delicious, with the cheddar indeed worth the wait for it to melt. Yet breaking with tradition soured it on another level. The next day, I made another grilled cheese sandwich with the last of the cheddar. This time I made it better, slightly less brown on one side, and of course, cut it into quarters. This time it tasted right. 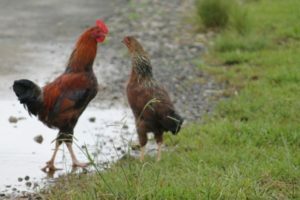 Do you have any food traditions you’ve kept? Something passed down as habit from your family? Last weekend, I had the opportunity to speak at AlterConf, a traveling conference centered upon matters of diversity and inclusion, mainly in the tech and gaming spaces. My topic, “Opening the Internet: Looking Beyond English Dominance”, was my first ever submission of this kind and I’m grateful to the organizers for the chance. I’ve said words to a room, taught, and given presentations at school, but hadn’t presented a talk like this before. My perspective on the matter was coming more from my interest in culture, my own background in social science, as well as experience as a bilingual person, than a strictly tech basis. Yet, even while being about tech central to many of our lives, it went beyond that. Technology is a series of tools, but we must center people in ways that we don’t always do right now. With so much creativity and the speed at which we come up with new options, sometimes we need to step back and make sure they work for as many people as possible. And if they don’t right off, have solid plans for that accessibility to come. My conference experience was a positive one, and the day was filled with informative and even inspiring talks from different voices. I’d like to thank my friend who shared her story with me to use, and to those who told me that this topic opened their eyes to why these options matter in our connected world. I’m looking forward to exploring these matters further. Stay tuned. Please enjoy more talks from AlterConf NYC 2016 and from previous events at the AlterConf YouTube channel. Community team members, including moderators, and managers, usually operate within a larger structure. Teams might consist of several people with interrelated responsibilities, or sometimes just one. With multiple members, you have to make sure your teamwork is balanced enough to ensure that each member can take on different roles if needed. Having flexibility to compensate if it’s necessary is one mark of a strong team. It reminds me of what my mother always taught me about egg cartons. 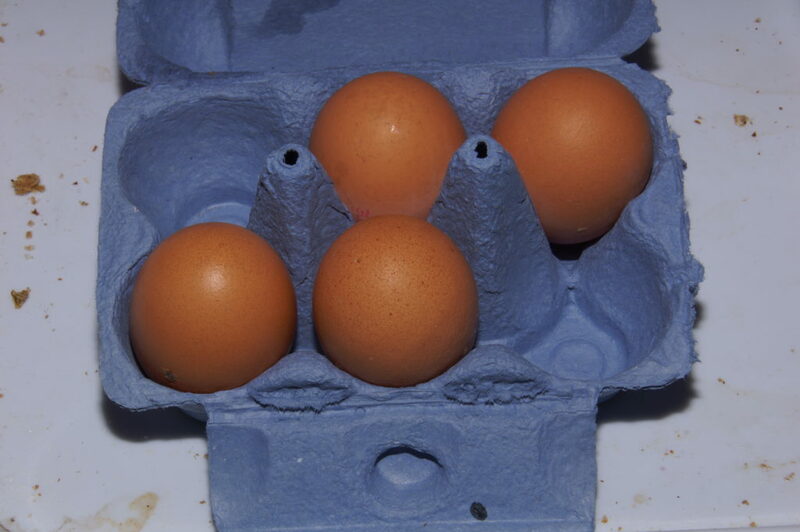 When you remove eggs from a carton, you must remove them in such a way that the remaining weight is distributed with balance, otherwise the carton will tip over when you grab it, potentially leading to a mess if it falls. People aren’t eggs, but the comparison holds. Community, especially in a modern sense, is often a 24/7 experience. In an always-on field, you have to cover your bases and make sure to address the most pressing needs. In other words, your team, organization, and approach have to all be flexible enough to provide the balance you need to get the job done in line with your goals, but also be responsive. Too little coverage on one side, and your approach is unbalanced, possibly leading to a crash. Too little on one side might mean too much on another – so you have to be flexible in how you align your resources with regular checks against needs. Balance is not a static formula. You’ll have to use data and listen to feedback in order to come to the correct balance for the month, quarter, or year you’re focused on. Again, flexibility is necessary, especially when it comes to, as they say, putting out fires. Services, apps, games, forums –wherever your community is centered–these can usually be accessed at any time. If you have a service and no one is minding the community, things can happen. For the most part, things tend to be a positive experience, but sometimes people can start taking it out on the community manager if a situation arises and there is no statement about it that the community deems helpful or valuable. Your words count when a troublesome moment happens, and having a good team can really take the sting out of an incident. That’s what we’re here for. One thing you have to do is truly love people. Because you’ll have to figure out how to address your community in the most reassuring manner that still takes care of business. You have to be able to triage what’s going on and then respond to what is happening. If you have a team working with you, this can be easier, but even small teams or single CMs have to deal with these. Most people who have spent time in community have likely faced 1 or 2 in the morning while being summoned due to an incident. You’ll have to forego sleep for the next couple of hours, roll up your sleeves, and work on keeping communication channels open on both company and community ends to work through it. In the beginning, one forum I worked for did not have great community tools, especially at the moderator level, where I started. The ability to bulk close post reports was missing, and I didn’t know how much we needed that until we got overrun by spammers or, occasionally, a community member who decided that it was time to flame out in a blaze of spam, swearing, and inappropriate posts. They can get pretty nasty. Those members who would do the absolute worst they could think of doing until we would be forced to ban them were very fond of saving their tirades for the wee hours of the morning, when we lacked sufficient coverage. We had to look at each post report and close them individually, a process that took time. If someone made a concerted effort to get themselves banned from the site, and that effort resulted in 120 reports, that guy’s reports would have to be looked at, handled, deleted, and closed individually. You can probably understand that each report requiring individual attention meant this did not take five minutes to clear up. Meanwhile, with one person on duty, the site was nigh unusable with all of the nasty content. If the CM or an administrator were unavailable to bulk delete a member’s posts, it would be up to the moderator to delete everything manually, then close all of the reports individually, posting a justification of the decision in each closed report. Meanwhile, people would often post questions as to why there was no apparent moderator action happening. I started closing the most affected threads and posting a quick update in the inevitable thread someone would post with regards to the problem posts or spam spree. I am temporarily closing some threads while we get the remaining problem posts cleaned up. Since we have to address and close every single post report individually, this takes some time to do. I’d appreciate it if you don’t report any more posts by johnusername5 since we are aware of the problem and are working on getting everything back in order. I’ll post again when I reopen this. You have to use your best judgment to decide what material to remove first, because there are degrees to this. If it’s outright abusive, contains personal information, threats, or pornographic material, those are priority removals. Then, you filter the rest. People would wonder if we were taking action at all. I began explaining in posts that we had to look at and take action on each report individually, and this took up a lot of time, but we were actively working on it. This helped soothe complaints and sometimes inspired some community members to defend our pace. Saying something in prominent posts made it known that we were actively working on the situation and gradually, things would return to normal. We had our members’ trust. By working to remove the posts that most needed removal, and blending that with periodic communication with our community members (both in update posts and sometimes in responses to PMs sent directly to us), this tended to be effective in managing an average situation. Teamwork is important in reacting to situations as well as predicting situations. Though sometimes the best solution is as open an approach as you can manage. Update people, reassure them, and demonstrate that your community members matter. Sometimes you’ll still get impatient and occasionally irate feedback, but most will be understanding, with some leading in defense of you (and your team) when things get difficult. Community team members have to be tuned in, to like people, and to believe in what they’re doing, otherwise it comes through and leads to burnout. Eventually, you get to know your members and how they communicate, and you can develop expectations. By doing so, you learn to anticipate their needs and then what works and what doesn’t work. It’s another way to provide that sense of balance. When all of your team members are tuned in, they can act with responsiveness and flexibility, even if everyone’s particular niche varies and you need a few extra hands to pitch in at a given moment. Eventually, we got better moderation tools from our administrators. These included better spam filters, the ability to delete all user posts (an option previously limited to CM and administrators) and to bulk close all reports about the same user. If someone tried the old trick of spamming 150 times, we could delete all the spambot posts in one go, then close all associated reports just as fast. Something that might have taken an hour or more now took about three minutes. Tales from Community is a new, semi-regular series about my time working in online communities, both paid and unpaid. This first entry is, fittingly, about my first steps into online communities, before I ever imagined a professional future in this field, and some early lessons learned. 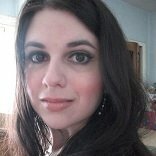 I created my first online community over a decade ago in collaboration with a friend. Neither of us knew what we were doing, but we wanted to create a place where the two of us, students from different countries, could share our mutual love for a certain band with others out there. So we started a Yahoo! group. I named it after a hit song, edited some images for our banner, and wrote regular updates for the front page and discussion board. It took off. Suddenly, we began to attract members, and when we had several hundred, we had the largest group on Yahoo! for this band at the time. It was a learning experience, not just in creation, promotion, and community maintenance, but attracting members, keeping them, and managing a community. Given that my co-creator was in the UK, and I was in New York, we also both got a few lessons in remote collaboration. My next community experience was another collaborative effort. I co-founded a video game guild, a player organization that let us organize group play, in-game events, as well as events outside the game. Our pre-release events helped our members, who were spread around the United States and England, get to know one another before the game’s release. We held events like movie night, where we’d each play our DVDs of a certain movie at the same time (this was just before streaming was a real option) and share the experience over voice chat. 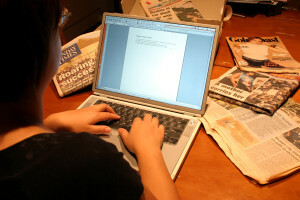 I also wrote up daily news updates, using a news CMS. The group was my introduction to Content Management Systems, which I used on the admin side, alongside answering questions, processing member applications, and writing content for our site and group. It was for this group that I learned Photoshop, which I used to create banners and avatars for members. In-game events included taking new members on a tour around the game maps, unlocking all of the new areas and fast-travel points. I had previously unlocked them myself, then created a spreadsheet with coordinates. It was just after the game’s release, so I created these tours as a membership perk. This was just before internet guides were very popular for online games, especially MMOs, and neither YouTube nor Twitch were around yet to provide video walkthroughs. I gathered data, saw how it could be useful to others within a limited window, then created a way to meet player community needs in a hands-on way, which also served as promo for our organization. My favorite event that I created and organized, however, has to be a Crimes of Fashion show in The Matrix Online. That game had more clothing options than I think I’ve ever had in my couple of decades of life. And while the leather, long coats, catsuits, boots, and sunglasses present in The Matrix trilogy were also in the game, that game also had a standout number of awful choices. I was inspired to rally our server and throw a massive party in one of the game’s nightclubs that would also be a showcase of player creativity. Whoever could come up with to create the worst outfits possible could model them down the runway and possibly walk away a winner. It was a successful event. We awarded the winners in-game currency and prizes, and turnout showed that there was demand for a fun event of that nature. These may have been times when I was playing, but the connections made were helpful. The excitement of promoting our groups and seeing those careful promotions result in new members, as well as throwing events, finding the right incentives, arranging for music, sometimes for developer presence, at times competitive, and other times, collaborative or intended for a large group to simply enjoy. Our guild also organized new player events every once in a while, where we’d collectively donate to a pool of starter items (consumables, gear) and in-game currency that we would award just to new characters under level 10 or so to get them started. All of this took place before the rise of social media, through forums, game channels, and friendly word of mouth, but our events thrived, though we also had misses that served as lessons. One in particular, following several successful tournaments we held, was my personal project – a tournament just for the game’s rogue classes. I organized and promoted the tournament, secured the prizes out of our guild pool, and wrote up the rules. Then I proudly posted the sign-up thread in the game forum. To a few signups and questions, which I answered. Then criticism. And finally, crickets. It was our only event that never got off the ground. Canceling that event, one that I was excited for and disappointed at its outcome, reinforced the need to have the right event, the right message, to the right audience. The server had plenty of rogues, but the tournament organization and structure just didn’t seem to appeal to more than the handful who signed up, not even filling the minimum number we needed. The next event I conceived and planned? The Crimes of Fashion show and competition. Sometimes you have to get up, dust yourself off, fine tune your plans, learn where the demand is, and get set to create something that connects with others. While my pet project wasn’t successful, I learned what it meant to bounce back with something that the community did embrace. These early collaborative, promotional, and community-driven events went on to lay the foundation for my future working in online community, a field that continues to grow, change, and develop while never losing sight of the people, and connections between them and the things they love that make it so valuable. While my natural empathy, extroversion, love for connecting people, and openness are all traits that align with the field, as you can see, it all began with a series of learning experiences that I have built upon over time. 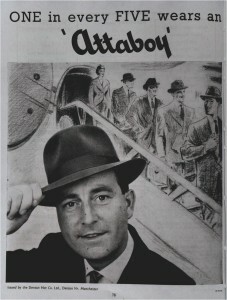 A vintage advertisement, presumably targeting an appropriate audience. Running a site reliant upon ad networks can be full of surprises. At a previous position, one of my duties was to assure that the site, a food publication, was not serving inappropriate advertisements that would turn off our audience and clientele. If someone came to read an article on wine pairings for the holidays, it was almost certain that one of our spots earmarked for the ad server would slot in an ad for addiction treatment centers. It was then my job to root out the source of the ad, which wasn’t always easy to find. Flash ads were pretty good at hiding their origins at times. If I was able to find the source, I would manually block it. That would never be the end of it, and the cycle would require repeating whenever we published any content involving alcohol. The Guardian is having trouble with ads being served in support of the National Rifle Association (NRA). These ads sneak in due to both insufficient blocking tools, and the ads themselves being designed to show items like membership duffel bags instead of guns, thereby passing initial filters. Yet these demonstrate how hard it can be to have control over the advertising your site displays. Having someone be on top of this is one way to do it, but it can be tedious work, and you can’t endlessly refresh your own site’s pages, serving more ads, so you have to check in measured amounts, making these inappropriate ads easy to miss for a while. For our food website, things we didn’t want to serve to our readers were rehab ads, diet ads (including those “one weird trick” scams), weight loss programs, political ads, medical advertisements, and other things that didn’t veer into the unappetizing or assumptions about someone’s ability to drink responsibly. In order to make us more attractive to other, outside ad clients, pairing rehab ads with wine articles wasn’t going to cut it. When an ad server gives minimal customization options (as is my experience handling ad placement split between networked ads and independent ones), these slips are going to be common. Networked ads are cheap and, unfortunately, that puts the power in the hands of the advertisers, not the site management or the audience. There is constant discussion about the present and future of web advertising, ad blocking, and the migration of many to mobile devices. Yet, as the trouble even The Guardian has keeping gun ads off of its site, shows, the power continues to sit in the hands of the advertisers. Greater web media is still figuring out ways to adapt to various aspects of the modern web, but this lack of control over how we can serve our audiences has not changed in some time. Ways to let ad networks serve both advertisers and media should be an integral part of the conversation. Internet comments seem to be the subject of criticism that won’t go away. Hell, even Reddit is launching a new news site that won’t allow commenting.With comments often loaded with harassment, trolling, highly offensive language, and sometimes threats, it’s clear why some see comment sections to be a failure and offering little value to a site to continue. One of the latest sites to remove comment sections from its content is Motherboard, a publication of Vice. Motherboard’s Editor-in-Chief, Derek Mead, announced the removal of comments with the headline “We’re Replacing Comments With Something Better”. I clicked, curious to see what this “something better” was, and to find out whether or not it would turn out to be better. Good moderation is valuable, and it requires companies treat moderators as more than simple comment police. Moderators are integral to the growth of communities, especially when moderators may be the first line of contact in the community team chain, depending on the side of your company or site. To get that quality, it has to be built into your operating costs. Many companies don’t cultivate community teams and invest in community development, backed up with sufficient funding to have good moderation and allow community managers and team members to spend a larger part of their days within the community instead of being marketing evangelists. What Motherboard is doing is taking the comments section and instead of letting people comment as before, they have an open email address and other methods of communication for those who feel compelled to submit feedback. Making some effort a requirement on the behalf of the heretofore commenter in order to submit feedback is but one step that will probably reduce feedback, but might increase its quality. The announcement noted that Motherboard’s staff had been contemplating the move for a year, and noted that those who justify comment sections note that when they are well-moderated, the cream can be filtered to the top and much of the harassment and noise can be eliminated. In other words, well-moderated comment sections provide value. However, the announcement also included one important acknowledgment. Motherboard wants to devote its resources to content, meaning that it’s a direct admission that good moderation takes resources. The argument for comments has long been that a well-moderated section lowers the barrier to entry for readers to share their thoughts, positive or otherwise. In a vacuum, that sounds like a dream, but the key there is “well-moderated.” Good comment sections exist, and social media can be just as abrasive an alternative. Good moderation is an investment in people in your comments sections and in your communities who know your community members well, and can anticipate their needs, know their methods of expression, and serve their usage patterns. Motherboard will select from received feedback once a week, the site will publish some of what the staff deems the most insightful comments. On the one hand, that is a form of moderation, but it’s after the fact, time has passed, the comment may no longer be topical, and it cuts off something very important when it comes to communities: interaction between people. This is, in effect, a version of the old “Letters to the Editor” segment of the newspaper. Letters to the Editor sections still exist, but the format that arose and, arguably took over, were internet comment sections. What Motherboard’s decision feels like is a potential step backward. The people most in favor of closing comments seem to be those who will say you have a blog, a Facebook or Twitter account, so you can respond however you’d like, on your own spaces. These decentralized methods of responding to the same source material are still needed, but one hopes such decentralization is not the result of passing the buck. By cutting off the immediacy of response and by dragging a wedge between users, a screen, between your audience members, you leave no room for a community to grow. Motherboard, in acknowledging the importance of good moderation and still dumping comments with a statement about redirecting its resources into content, is openly declaring quality moderation something not worth investing in for the site. Direct community building may not be ideal for some companies after all. Yet many sites do not want to make the investment in a good moderation and community team, instead preferring to pass the responsibility over to social media and blogging platforms. In other words: not our problem, but have fun when your users make it yours. Another summer, another banging pop song winds up inescapable. Over the past month, Demi Lovato released and went on promotional appearances for her latest single, “Cool For the Summer”. I think Demi Lovato is a talented young singer, and enjoy some of her past work. I own two of her albums, Demi and Unbroken, so I expected a fun little song suitable for summer dancing or workouts. After a few listens, however, “Cool For the Summer” doesn’t sit well, and I can’t shake it. Written by a team of five, including Lovato, Max Martin, Ali Payami, Alexander Erik Kronlund, and Savan Kotecha, the lyrics aren’t pronoun-specific, but suggest a bi-curious summer fling. While there’s nothing wrong with exploring your sexuality, the tone of the lyrics point to tired old beliefs that might also be among some of the reasons more bisexual people haven’t come out, despite making up the largest slice of the LGBTQIA+ population. Sure, some people might consider a fling in general as something adventurous and maybe not talk about it as much, but the other implication here is that exploring sexuality in this manner, or a bicurious experience, is something that is potentially wrong or needs to be kept secret. These sentiments simply feel stale. Our culture is far from perfect when it comes to acceptance, but I’d like to think we’ve come at least a little further than wink wink I’ve got a secret bisexual exploration. The implication continues in the rest of the song. Again with the whole hush hush down low thing. The rest of the song is a hooky pop craft of fun, no-strings attraction, which is a fine choice if that’s what you’re into. But I simply can’t get past the bad taste these lyrics leave in my mouth.